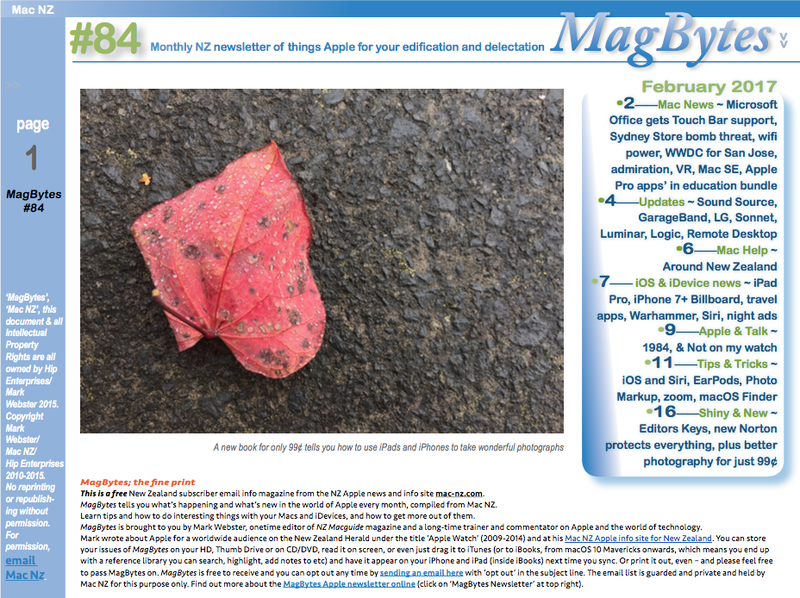 MagBytes 93 is here … and it’s the last one. 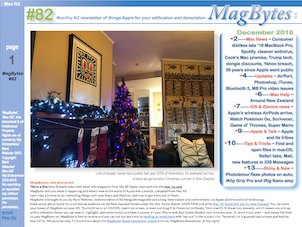 Here is MagBytes 93, the final issue. 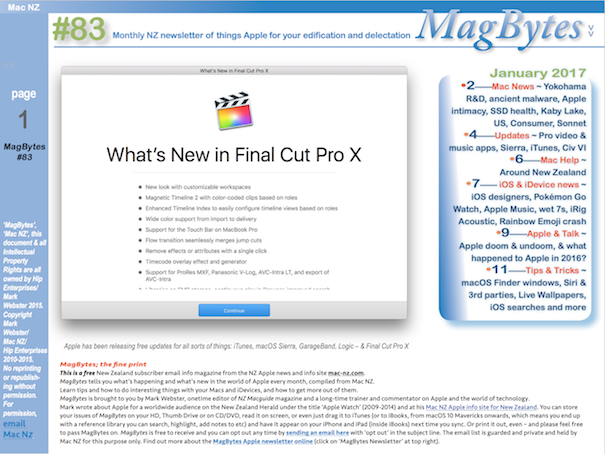 I am sorry everyone who enjoys this effort of mine, but I no longer have time to do this, and I will also be cutting my Apple news updates dramatically, and no more Friday tips, as I explain in MagBytes 93 on Page 9. I thank you for your support over the last ten years but I simply cannot sustain this any longer. 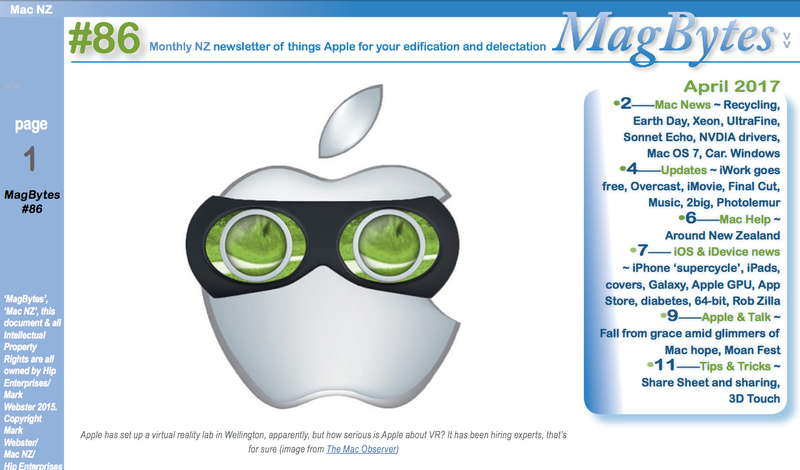 I will continue to write commentary on Apple when it’s relevant and I have the time on Mac NZ, I will continue to write reviews. I will continue with Futurology and The Apocalypticon (on weekends) as they support my other interests. 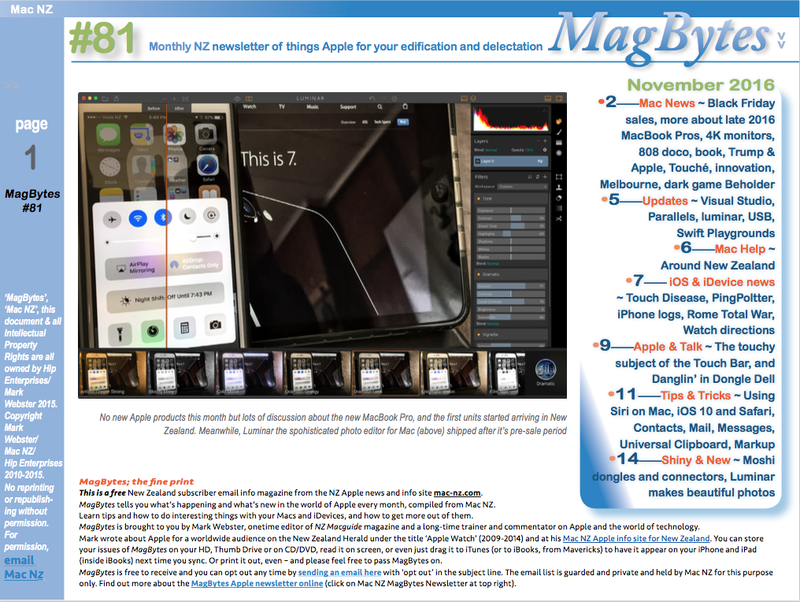 MagBytes 92 is here, just before iPhone X finally appears. News, tips, tricks and views, plus some new software and hardware. 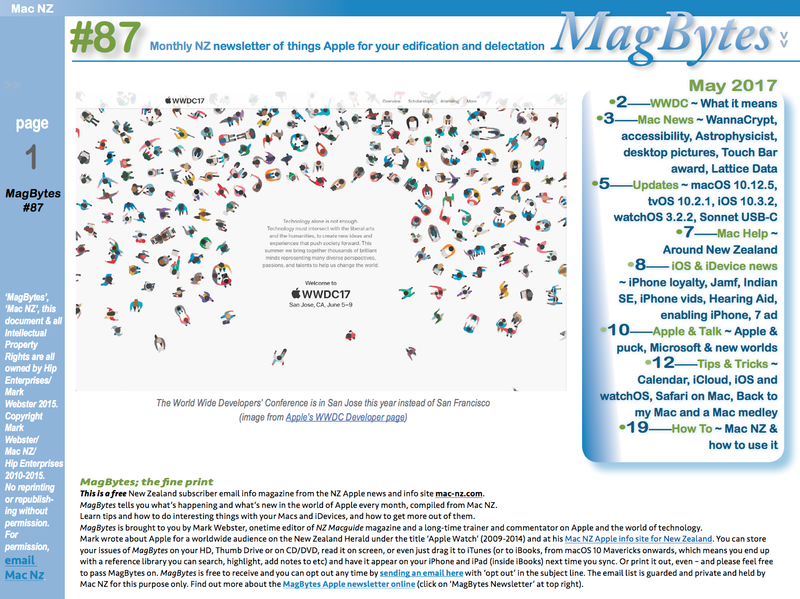 Enjoy – as always, MagBytes is free to download, pass on and keep. (Back issues are available all the time from the MagBytes Newsletter link over there on the right.). 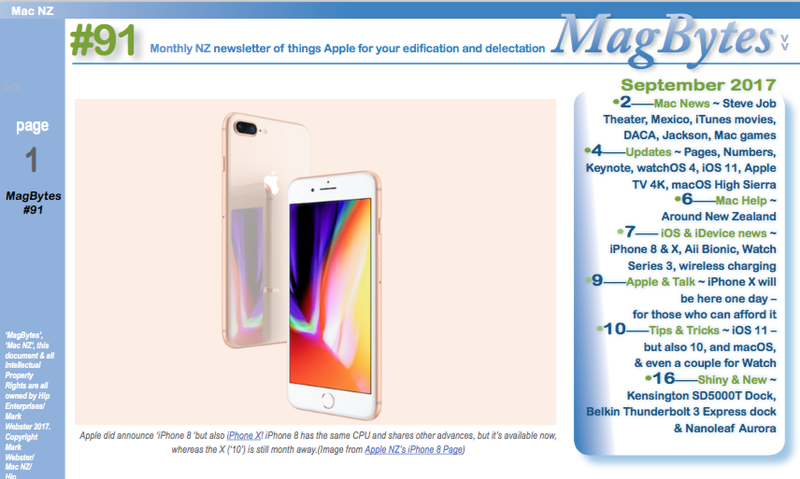 MagBytes 91 is here, with all the news about Apple’s new iPhone 8s, the iPhone X, iOS 11, macOS High Sierra, new Apple TV, new Watch Series 3 and Apple TV, new operating systems for Watch and TV and more. With a host of handy tips and three new products, this handy PDF reference should make your day. Yes, I have a full-time regular job now, but I’m still (so far) managing to get this done. MagBytes 90 looks like this, at left, (that’s a thumbnail picture; the download is from the text link below). Please remember that feedback is always welcome. I like to feel MagBytes is useful to people, and if you can think of any way I can improve MagBytes, I’m all ears. 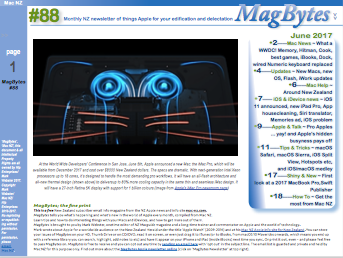 MagBytes #89 is now available for download. All the last month’s tips tricks and info, news, views and updates, all in a nice PDF package for you. 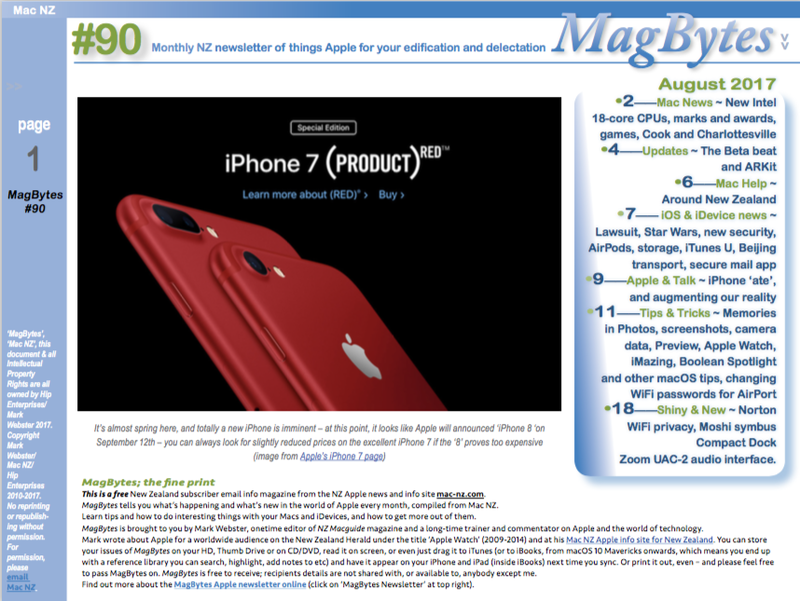 MagBytes 88 looks at Apple’s new products, has news, tips and tricks and more. It’s available to download now from the link on this page. 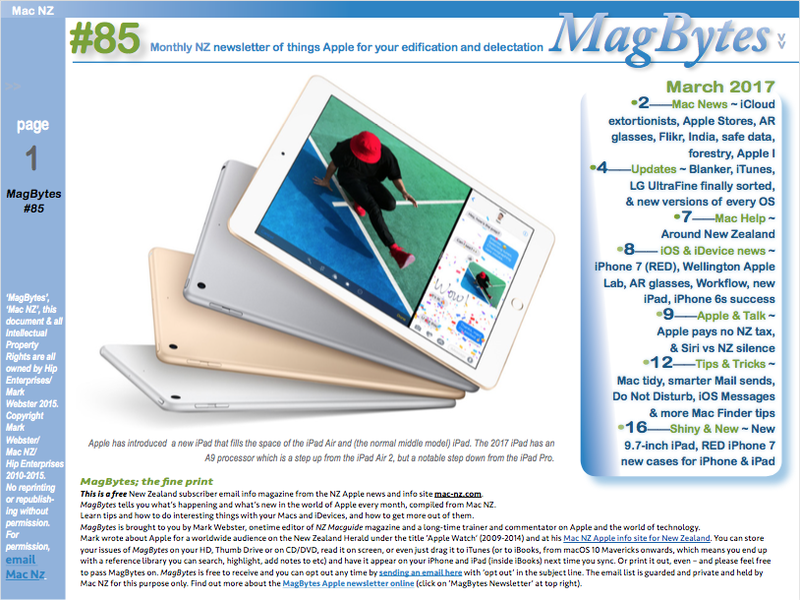 MagBytes 85 is out, and ready to download. 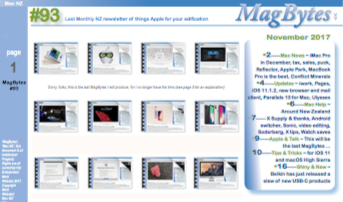 It has all Apple’s new hardware and software releases in it, plus news, views, tips and tricks. Here it is folks, with a large Tips section, Shiny and New and lots of news, updates and even some views. It looks like the image above, and you can download it no obligations and entirely for free by clicking …. The Swiss have arrived so seize the carp! 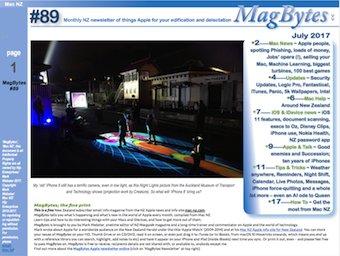 OK, I’m not very good at French and Latin, but MagBytes 83 is here, full of news, views, tips and tricks for all Apple users, free and bulging with info in electronic form. THIS LINK —> issue83jan17 to get this PDF magazine on your device and/or computer.